Chatrapathi For the first time in his career, Prabhas showed that he can carry off an ultra mass commercial subject on his shoulders with style and elegance. His tight denim shirt showing off his body and the conch shell necklace set a frenzy for fashion among the boys. Munna Even though the film did not become as successful it was expected to be. 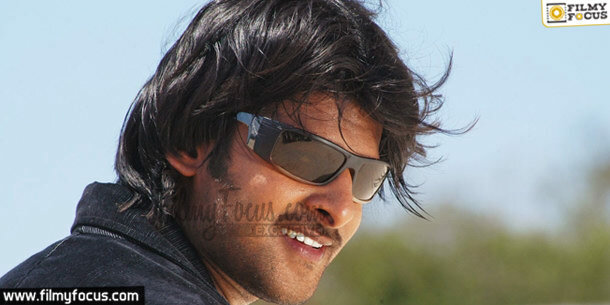 Prabhas with long straight hair opposite to his curly wrinkles made young ladies go weak in their knees. His goggles and shedded jeans have become style statements for college students those days. 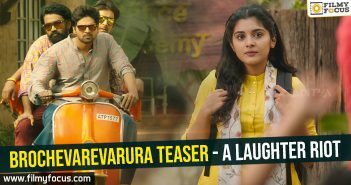 Darling This film directed by Karunakaran opened up Prabhas like never before with an unique comedy timing. He did wear lot of trendy fashion shirts for the movie but his full sleeve hand printed T-shirts have become a rage. 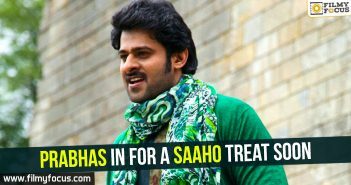 Rebel In the movie, Rebel, Prabhas danced his best, fought in ultra stylish manner and his looks have also become a source of inspiration for many. With full hand t-shirts and large buckle belts he made a style statement that lasts even today. Mirchi This could be the first film where a mass hero dominated the screen with formal office going man looks. He looked quite trendy and brought formals back into fashion for many youngsters. Six pack for Baahubali Prabhas become a symbol for Baahubali has he represented the title perfect to the tee with his aspirational six pack body. Many young men wanted to do six pack and look like him after the movie. Eight pack For his first movie with Puri Jagannath, Prabhas took a tole on his body and for the first time he slimmed down to an eight pack personality from his usual bulky muscles. His look for the film brought the movie greater buzz. Chiseled muscles Prabhas once again made youth look at gym to improve their body shape after Rebel. His bulky and chiseled muscles became aspirational to many teenagers and young men. Prabhas to take risk with his next! ?